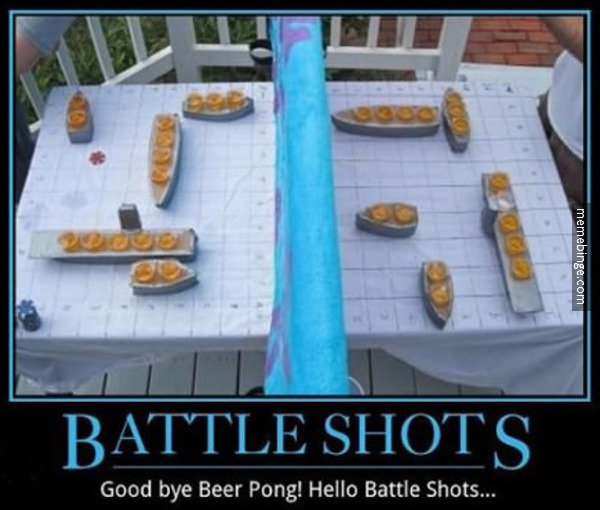 If you know how to play beer pong you know how to play Battleships as a drinking game. The picture above is a more advanced set up. If you are short on materials you can use two pizza boxes instead. Hope this helps spark your imagination!